Customers will always remain kings & queens. Successful businesses today are those that are customer-focused. Having utter disregard for customers’ preference, such as cancelling ‘Payment on Delivery’ and compelling customers to pay before an item is delivered, or subtly restricting the customers when it is time to return an item won’t position a business as customer-centric. The process of ordering a product online has become seamless. You can simply visit the number one & trusted eCommerce store, order your desired product (s) and it will be delivered to your doorstep in 3 to 12 business days within Nigeria. All things being equal, the delivery should be smooth without any hassle and both parties should be happy. Often, however, there are circumstances that could compel a customer or buyer to return a product probably due to a defect or the wrong product being delivered. Or sometimes, the customer just doesn’t want the product anymore, for no specific reason. The process of returning an item purchased online and refunding the customer shouldn’t be as cumbersome as some eCommerce companies deliberately make it to be. 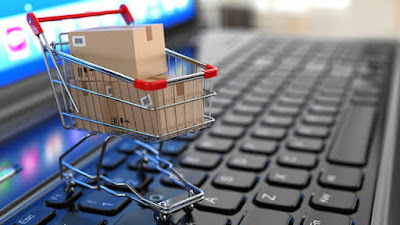 Your trusted online store Jumia Nigeria shares 5 return policies that online shoppers should know. Although, there are a number of reasons for returning a product: product is wrong, damaged, defective or fake. Or perhaps, you decided you no longer want the item/product (this reason doesn’t apply to Jumia Global items but applies to fashion items only such as underwears, adult toys, perfumes, cosmetics, hair extensions and jewellery). However, if at the point of delivery you no longer want an item, ensure all seals, tags and accessories are left intact. The delivery agent or the pickup centre will assist you in returning the product at no cost to you. It will cost you nothing to return a product regardless of the reasons that prompted the return. Jumia will cover the cost. So, as a customer, you do not pay a dime for returning an item. This said it is key to take note of thefactors conditioning a return. This is mainly for customers who prepaid for their items. In any case, they return a product, they will get their money back. There will be no deductions. Importantly, the refund time starts from the day the item you would like to return is picked up by a delivery agent to the day the refund process is completed. The refund timeline for Lagos, Ibadan, Abuja, Port Harcourt, Abeokuta and all other cities is 10 business days. If you noticed that your item was defective, you should initiate a return within 7 days after purchase. You do this by completing the contact form on Jumia website. Any return process that starts after 7 days will not be treated. But if it is faulty, it may be covered under warranty. The return pick up time starts from the day you make a request to return an item to the day a delivery agent retrieves the item you plan to return. Also, only two pickup attempts will be made to retrieve the item within 1 to 3 business days in Lagos, Ibadan, Abuja, Port Harcourt, Abeokuta and all other cities. These timelines also apply if you are dropping your returns at a pick-up station.